INDUSTRY.co.id - Jakarta - Ministry of Public Works and People's Housing (PUPR) targets toll roads from Merak-Surabaya along 929.7km to operate by the end of this year. The toll road is part of the 1,167 kilometer Trans Java Toll that will connect Merak to Banyuwangi. The acceleration of toll road development as part of national road network system is a real step towards realizing Nawacita Joko Widodo - Jusuf Kalla, in improving people's productivity, nation's competitiveness, and encouraging the progress of national civilization. Trans Java Toll is built to reduce logistics costs and improve smooth connectivity in Java Island, which has a major contribution to national economic growth. On the other hand, the presence of infrastructure is also expected to increase the property market of the surrounding area. Of the many toll roads that enter the Trans Java Toll Road, there are several locations that become the main point of Serang, Banten. 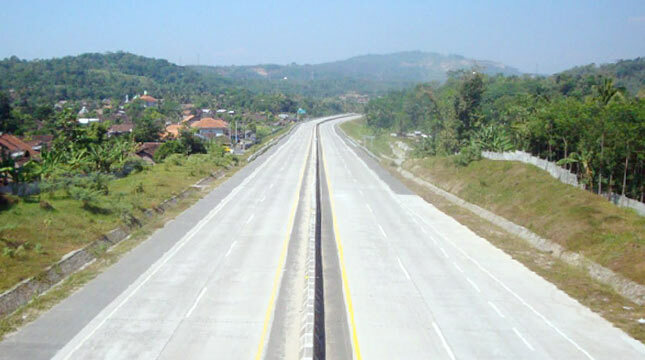 In this region, the government has just been working on the Serang-Panimbang Toll that crosses the northern route. Bukit Mas Residence housing located at Jalan Raya Jakarta KM 4, Serang, becomes one of the housing that can be considered if you want to invest property around Trans Java Toll road. The inaugural project of PT. Prima Karya Propertindo is an integrated residential area of ​​10 hectares consisting of four types of clusters. There are several types of homes with prices ranging from Rp342 million for the Palm type (45m2). Not only Serang, Pejagan-Pemalang Toll which will operate in two months also give influence to Pemalang's prestige. If previously heading Pemalang can only be accessed via pantura and rail, then Trans Java is definitely a new path that can facilitate the outsiders to this region. Looking at the development of its property, Pemalang is now sufficiently enlivened by the New Housing of lower-middle segmentation. One example is the Grand Comal Residence housing. With price tags ranging from Rp200 million to Rp800 million, the cluster has a strategic location close to public facilities. Starting from Comal Market (50 meters), 24 hour transportation access, train station, to the hospital. Housing works of developers PT. Walet Propertindo Lestari is just 500 meters from Pantura Highway. One more could consider Griya Satria Brebes. Located on North Ring Road (Jalingkut) Batang Brebes Market, housing presents 89 units of homes with a choice of types 45 and 60, prices ranging from Rp230 million to Rp300 million. The estate is close to important facilities such as stations, hospitals, schools, police stations and the Islamic Center. In addition, close also attractions such as water rides and Randu Sanga Indah Beach.